Jean Redele, born in 1922, the son of a Renault dealer, was an engineer and a motor sport enthusiast. In the early 1950s he competed with some success in events such as the Alpine Rally and Mille Miglia in a modified Renault 4CV saloon and he founded Societe Automobiles Alpine in 1955. 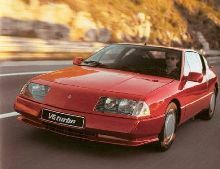 The prototype car was little more than a two seat fibreglass coupe body, styled by Michelotti, on a Renault 4CV floor pan but with the option of a five-speed gearbox developed by Redele and Claude Engineering. Redele drove one in the 1955 Mille Miglia and so it ws launched as the A106 'Mille Miles'. 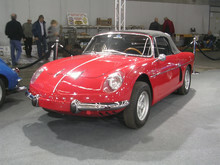 With one of of these cars , Maurice Michy won his class in the 1956 Mille Miglia. 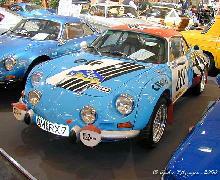 A version with a steel body, the A107, was made as a prototype but did not go into production but the A106 benefitted from new engines from the Renault Dauphine range. 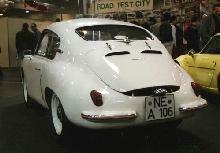 By 1957, A106s wer being made at a rate of about two a week, and when production ended in 1960 some 650 had been built.